This September, we decided to start a weekly Featured Market post. Each Wednesday, we’ll pinpoint a magazine, competition or anthology that we think you should pay attention to. We know it’s time consuming to trawl through the thousands of markets out there, find one that’s suitable for you, scan through their submission guidelines and then eventually submit; so we thought we’d do the hard work for you. This week’s Featured Market is The Lampeter Review – TLR for short. What’s great about TLR is that they’re a really high quality publication. Seriously, it looks amazing. They publish prose, poetry and plays from writers such as Joe Dunthorne, David Vann, Rachel Tresize, and many other household names, including Online Writing Tips very own Tyler Keevil & DD Johnston! But they also publish new and emerging writers. And that’s why it’s brilliant. If you’re an unpublished writer, you have a great opportunity to be published alongside some established authors, in a beautifully compiled publication. Prose: no more than 3,000 words in length. Poetry: either 3 short poems or 1 long poem. If your work is accepted, please wait an issue before submitting again. Have a look, read some previous issues, and get submitting! Here’s an Online Writing Tips debut: these tips for submitting stories are brought to you by the newest member of our team, the very talented Philip Bowne. Phil’s short fiction has been published by The Lampeter Review, Sein und Werden,and Birkbeck University’s Writers’ Hub. 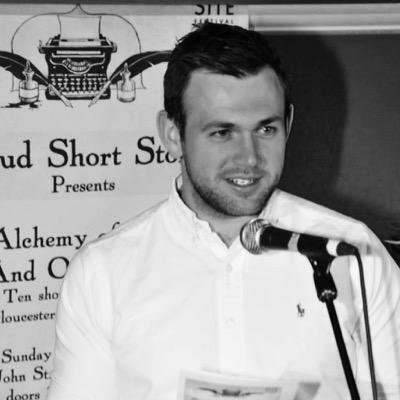 His short story ‘Cows Can’t Jump’ was selected as one of ten winners of the Stroud Short Stories competition. In the US, he won the Bartleby Snopes short fiction competition, and his work has also appeared in WORK, Gravel, BlazeVOX, Atticus Review, and the Maple Tree Literary Supplement, in Canada. He has also worked as a travel writer, and his non-fiction has appeared in The Guardian. Phil’s tips will be just the thing if you’re thinking of entering the inaugural Online Writing Tips short fiction prize. So you’ve polished a short story and you feel it’s ready to be published to the masses. Brilliant news! You may feel you are only an e-mail away from having your story in Granta, The New York Times, or The Paris Review… Sadly, it’s not quite that easy. Here are our top 5 tips for submitting to magazines and publications in short fiction markets. I don’t mean that in a horrible way. We’re all rejects. I’ve had hundreds of stories rejected, and only a handful published. At first, it hurts. After the tenth, twentieth, thirtieth rejection, you’ll get used to it. Even the household names will have been rejected hundreds of times. Being able to accept rejection is an important trait to have as a writer, as you’ll spend most of your time being rejected… Sounds fun, right? What that does mean, is that when you do get an acceptance letter (which you will!) it feels incredible! This is a must. Editors receive hundreds of stories that they must whittle down to only a handful. Not following the correct formatting guidelines will give them a reason to throw your work into the slush pile before they’ve even read it! We will provide a tutorial on SMF so you’ll never trip up on your formatting again. 3. Keep cover letters short and informative – but try to catch the editor’s attention. In my experience, a cover letter that briefly introduces the author, the story and its themes will make for a good cover letter – particularly if you can hook the judge or editor with a snappy description of the story that makes them want to read it. Every editor/judge is different though, and so any advice we offer will not apply for every magazine or journal! A polite tone that shows you appreciate them taking the time to read your work will always set you up in the right way. 5. Don’t assume you’re limited to your national market. The best thing I ever did when submitting to short fiction markets was look outside of the UK. In America and Canada there are hundreds more markets than we have here in the UK, so your chances of publication are much greater. It also looks great to have a record of publishing outside of your own country. Again, Duotrope is one of the best places to seek out these international markets. It’s not a free service, but if you have a few stories to submit, it’s well worth the subscription fee. If you’re reading this and thinking of submitting a short story, look no further than Online Writing Tips! The Short Fiction Prize is OPEN and the deadline is February 1st 2016. The talented winner will take home £150 PLUS publication here on the website. Get submitting! Want to know the sort of thing we’ll be covering in 2015? Well, our posts will be grouped into the 25 topics listed below. We won’t be doing these strictly in order, but selecting from the topics menu on the right will bring up the videos we’ve done so far in any chosen category (thus far, we haven’t done any, so save yourself a click! ).